After defeat of army worm December last year, the pest have already invaded about 350 hectares of maize in Eastern Province. Armyworm is a strange pest that feasts on crops including; maize, Sorghum, bean, among other crops. It was identified in Kagitumba village marshland of Matimba sector, Nyagatare district, Eastern province. 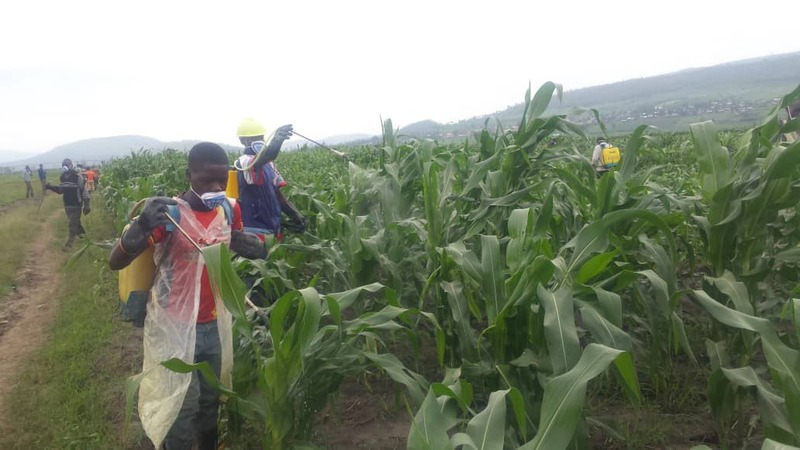 It is feared that the pest could be also silently attacking the 22778 hectares of maize that was planted in different sectors of the district. “We have no food insecurity today, but we fear that 22778 hectares of the district could be affected, which would be bad news for farmers,” Steven Rurangwa, vice mayor in charge of economic affairs in Nyagatare district told KT Press. Armyworm invasion largely affected maize farmers last year, and, it is feared that they can cause the same harm this season. 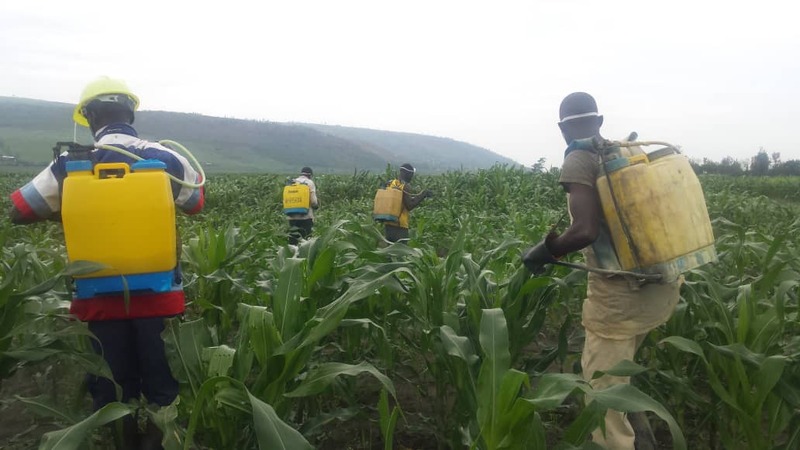 The Ministry of Agriculture last year reported 15,699hactares destroyed by armyworm, representing 24.7% of the total area of 63,499ha planted maize and sorghum countrywide. Last year, armyworm damaged farmers’ crops was so fast and wide, in 3 months, all Districts of Southern Province had reported the pest. In more few weeks, the worm had attacked all 30 districts in the country. The Rwanda Defense Force (RDF) led efforts to fight the pest by ensuring rapid delivery of required insecticides using helicopters. The attack on maize and beans which are staple foods in Rwanda raised concerns and fears for a looming food crisis across the country.